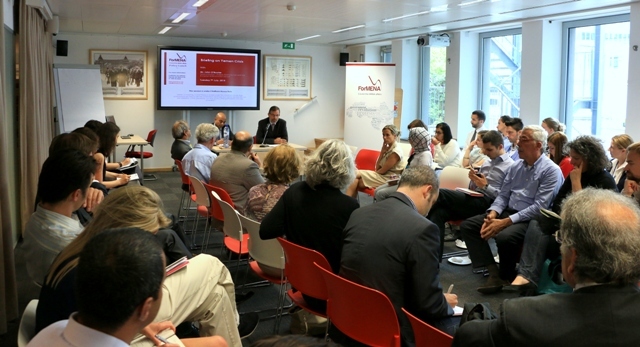 On Tuesday 7th July, ForMENA started its Policy Lunch activities in Brussels, dedicating its first round of talks on the current Yemen crisis. Mr John O’Rourke, Head of Division – Arabian Peninsula, Iran and Iraq, European External Action Service (EEAS) briefed us on the current developments on the ground and the continuing conflict situation, the region is living through in the past three years. He also highlighted the dire humanitarian situation that Yemen and the efforts of EU and UN in order to contain and stop the bloodshed waves that lead to an unprecedented disastrous situation. 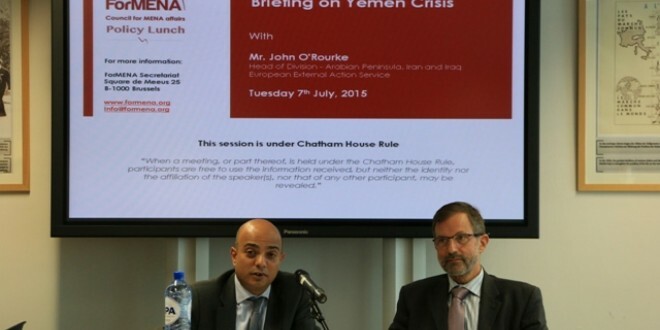 The meeting was attended by at least 60 guests, mainly, from EU Institutions, Parliamentarians, Think-Tank experts, a number of diplomats of Gulf countries embassies and Southern Yemeni movement representatives. They discussed the risks that could affect the whole region because of the present situation in Yemen, and the importance of the international efforts in this regard. They reiterated on the necessity of reinforcing EU efforts and its regional and international partners to find a solution or an exit strategy to the deteriorating humanitarian conditions of which the Yemeni population is suffering. 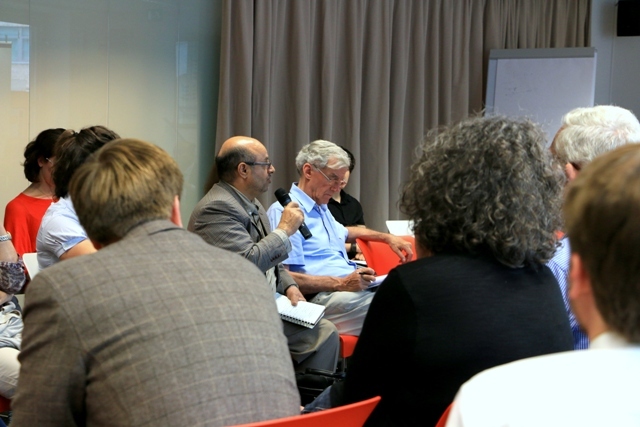 ForMENA intends to continue its Policy Lunch sessions on a monthly basis, covering different regional issues from the Middle East and North Africa.